Next stop for Universal Orlando Resort: the Wizarding World of Harry Potter – Diagon Alley, aboard the new Hogwarts Express. Universal released details of the new attraction, which joins the Wizarding World Of Harry Potter – Hogsmeade that opened in 2010. The attraction will focus on all things related to Diagon Alley, where wizards go to hang out, when it debuts this summer. 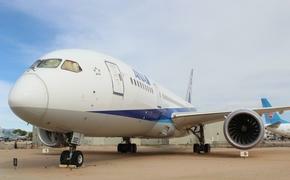 “It’s going to bring the movies to life,” said Mark Woodbury, president of Universal Creative. 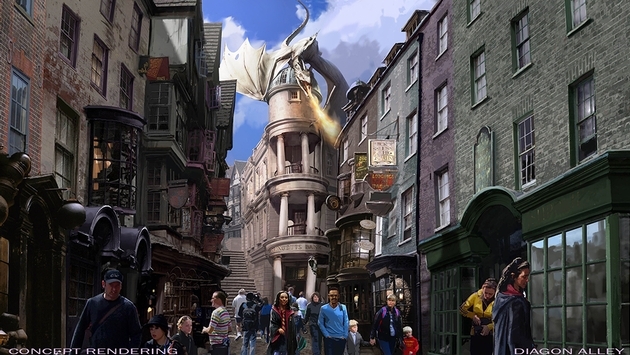 Universal officials said Diagon Alley will double the size of the Harry Potter attraction. The Hogwarts Express will serve as transportation between Hogsmeade at Universal Orlando and the new Diagon Alley, which will be set in Universal Studios. Guests must have park-to-park admission in order to board the Hogwarts Express, whose compartments and corridors are meant to replicate scenes from the Harry Potter films. “We wanted guests to feel just like they stepped inside the train from the films,” said Thierry Coup, senior vice president of Universal Creative. The attraction will also feature a new ride, Harry Potter and the Escape from Gringotts. Highlights of Diagon Alley include Ollivanders, Makers of Fine Wands since 382 BC, and Borgin and Burkes, whose specialty is the Dark Arts. Shops will include Weasleys’ Wizard Wheezes with novelty and joke items; Madam Malkin’s Robes for All Occasions; Magical Menagerie, whose animals include owls and hippografs; Quality Quidditch Supplies, offering Quidditch sweaters, brooms, Golden Snitches, Bludgers, Bludger bats and Quaffles; and Scribbulus, where guests can get all their writing supplies, from feather quills to parchment paper. Dining options feature the Leaky Cauldron for fish and chips, bangers and mash, while Florean Fortescue’s Ice-Cream Parlour, will, as its name implies feature an array of one-of-a-kind ice cream flavors.